Ixchel has a gypsy-spirit, living part of the year in Northern California and part in Mexico. She works with Nature and the natural rhythms and flow of life. She is a weaver of energy, bringing together people and places in a divine tapestry. Her desire is to help others discover the beauty and divinity within themselves. Having grown up as a loner, her strong desire is to build connection and community, learning through each other to communicate and support each other in better ways. She works with the sacred feminine and masculine and has apprenticed to lead ceremony and ritual. 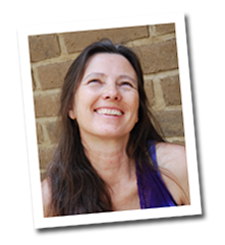 She teaches courses in working the principles of abundance and prosperity, understanding the energies of the Mayan Calendar. Keeper of Women’s Water Ceremonies, as practiced with the New Dream Foundation, with a 9-month apprenticeship program leading to initiation. Completed Ministerial Apprenticeship in leading sacred ceremony, holding and creating sacred space, spiritual counseling and more. Completed several Vision Quests of my own, with one year preparation. Worked at Retreat Center in Amatlan, Mexico – organizing groups, planning meals, holding space, preparing ceremony. New Dream Foundation, VP and Board of Trustees – worked on overall planning of spiritual organization, website, internet visibility and sharing.